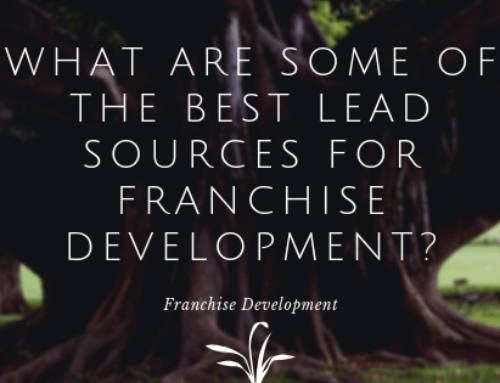 Over the last decade of working in the Franchise space, I can probably count on one hand the number of times that someone has said to me, “we have too many franchise development leads”. The actual number may be zero, but I vaguely remember someone saying that they were revamping their franchise development in-take staff and needed to wait on lead flow. 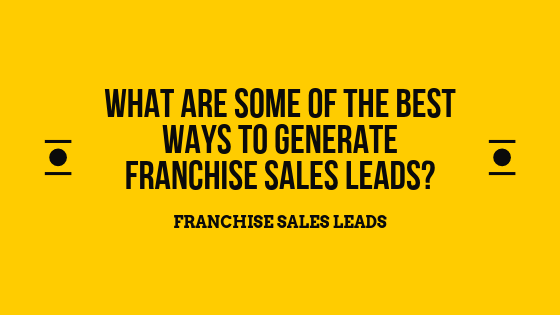 Why does it take so many franchise leads to get a sale? There are probably a lot of reasons for this, but none greater than this: buying a franchise is an expensive commitment, and people are risk adverse. The fact of the matter is, many people who buy their first franchise are taking all of the money that they have saved (or borrowed) and risk it on the one franchise that they either love, feel they would be good at, or think will make them the most money. Behind the scenes, you should only count on closing between 0.5% – 4% of all of the franchise development leads that you get. 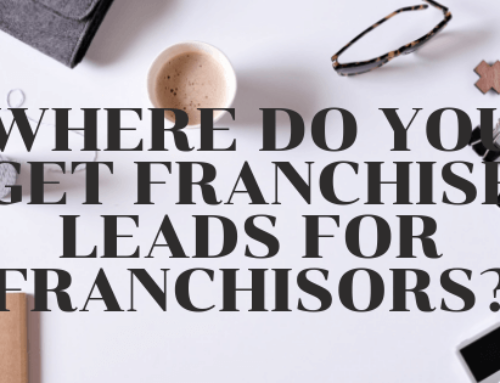 That’s basically one out of every 25 – 200 leads, depending on how strong your franchise brand is, the ROI, and the lead sources that you are driving the franchise leads from. 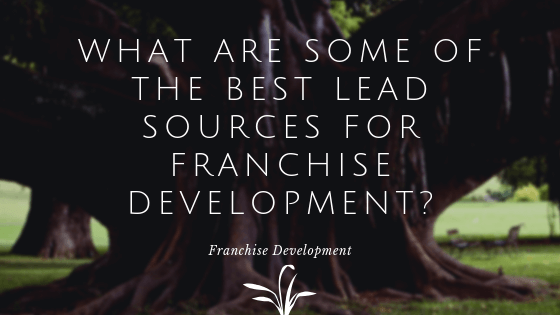 Back to the question at hand: “How do you get more franchise development leads?”. These days, more than half of all franchises sold originated from the internet. The number is deceiving, however, because most of the leads that Franchise Broker Networks (TES,FranServe,FranSmart, etc.) sell to come from the internet. So, even Franchise Brokers are selling to people who more often than not came from the internet. This number also includes franchise portals, such as Franchise Gator, Franchise Direct, America’s Best Franchises, and other portals / apps. Where else do they come from? A big chunk of franchise leads come from referrals and existing customers. In my mind, these are the best types of franchisees, because they are essentially free and come from you doing a good job with your existing brand and franchisees. Also, PR (articles, TV, magazines, newspaper, radio) plays a role in franchise lead generation, as do Trade Shows, such as IFA. 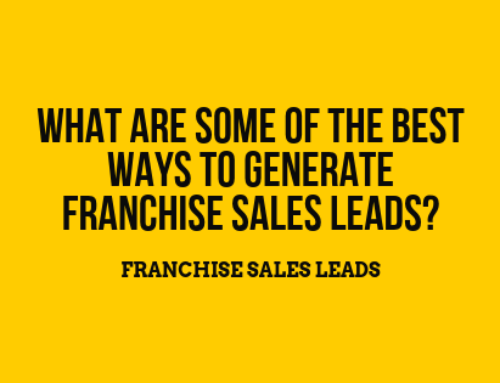 But, now comes the most important question of all, which is “Where should you get YOUR franchise development leads?”. If you could waive a magic wand, I would say that you should start with your existing franchisees and customers. Make sure your stores have good signage about becoming a franchisee, and periodically ask your franchisees for referrals. Beyond that, I’m 100% a believer that the internet is the key to driving franchise leads. 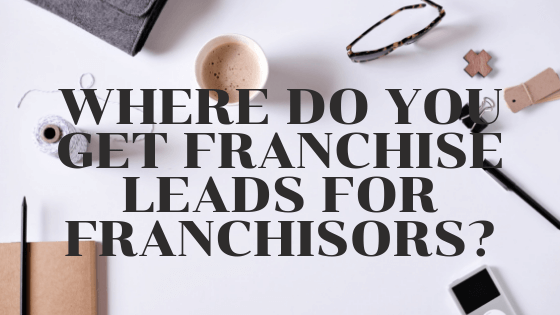 Granted, I’m super biased on this, as at the time of this writing, we have managed over $5,000,000 in ads for franchisors seeking to acquire new franchisees. And, we currently manage ads on behalf of around 70 brands. But, I can tell you that we see about 50% of our franchise sales coming from Google and 50% coming from Facebook. Google tends to convert a little higher than Facebook, as often times those leads have more intent to buy. But, since Facebook leads are about 1/3 the price of Google, based off of sheer volume, Facebook can do really well. Industry Terms are basically people who are searching for franchises in a specific space. So, if you’re a yogurt franchise, that would be things like Yogurt Franchise, Ice Cream Franchise, Gelato Franchise, Frozen Yogurt Franchise, etc. Competitor Terms would be thinks like TCBY Franchise, Yogurtland Franchise, Red Mango Franchise, etc. Branded Terms are people searching specifically for your brand plus the word “franchise”. On Facebook, you want people that have money. That’s the most important thing. Go after people that have money, are interested in franchising, and also have an interest in your specific industry. After that, on Facebook, it’s all about pictures, videos, emojis, calls to action, landing page optimization, and being very detailed in regard to the investment required and benefits of your brand. If Google works well for you, so can Bing/Yahoo. If Facebook works well for you, so can LinkedIn. But, initially stick to Google and Facebook, and perhaps throw a little YouTube remarketing in the mix.